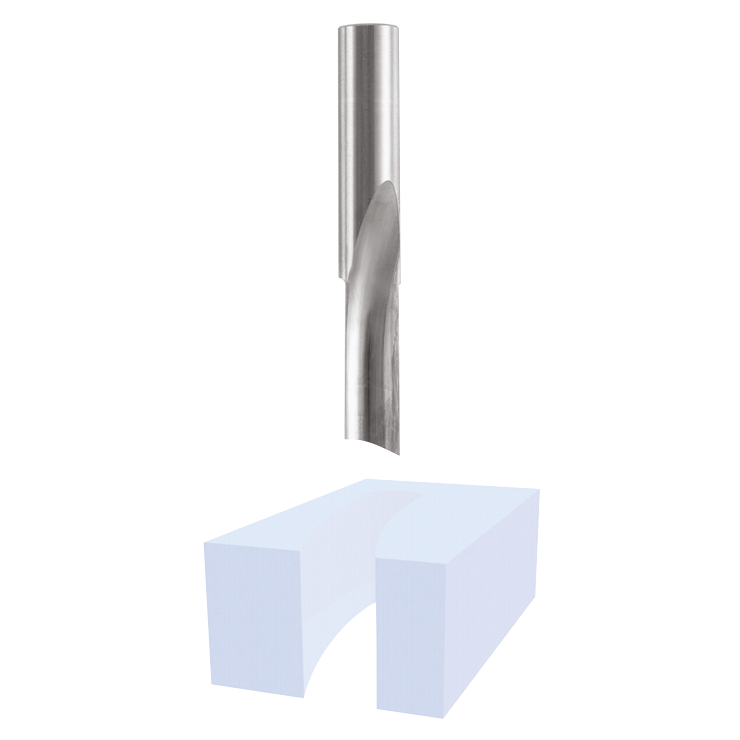 Premium-quality micrograin solid carbide bit is precision ground for an extra-fine finish with maximum sharpness and edge retention. “O” flute design ejects chips more easily. Single flute o-flute is ideal for fast cutting in soft plastics.